By Petra-Andreea Gheroghiu on 08/29/16 • Leave a comment! There are a few simple techniques that make footage look more professional, the cinematic slide being one of the more effective ones. However, getting a nice slide going usually requires some rails to be set up, and these can be bulky to transport. 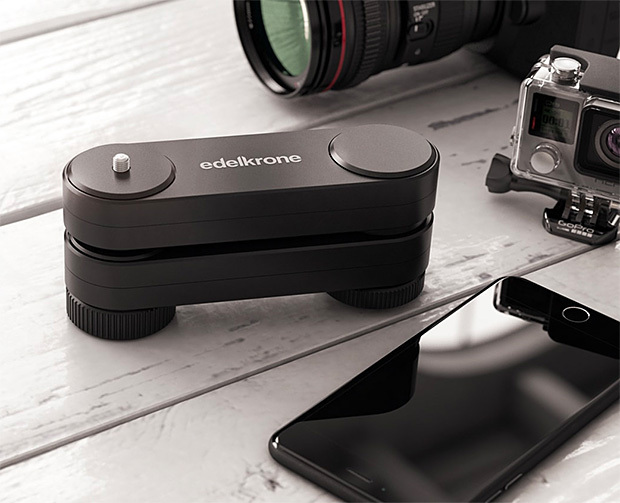 A cool alternative is the Edelkrone Wing. It’s a folding double-arm system that makes it super easy to get up to 16 inches of slide, yet folds down to about 4 inches for easy transport. It’s a manual system, and the friction levels are adjustable so you can get the exact resistance and speed desired for your slide. It’s an essential tool to have for anyone who takes their photography seriously, although at $250, it’s a little too expensive for the casual user.